A one-day trip to the Baltic Sea is a great opportunity for your company or business partners or friends to travel to the Baltic Sea to fish for cod. We offer a great fishing trip where you can get acquainted with the extremely interesting and mysterious sea fishing. Ship “Brizo” will visit the fishiest places in the Baltic Sea. 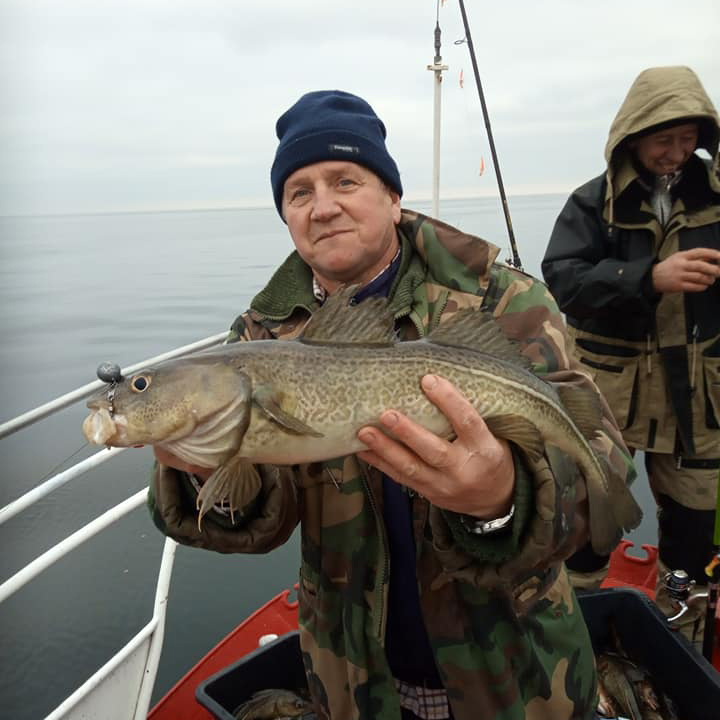 Fishing is possible from the coast (33-38 nautical miles, near the Russian border) – 16 h of fishing and close to the shore (10-15 nautical miles) – 8 h of fishing. Tour group – up to 10 people. Ship has all the equipment needed for cod fishing (GPRS, ECHALOT, radar) as well as maritime security measures and fully equipped fishing equipment (sea fishing line, PENN multiplier reel, whalebark, Norwegian piler). An experienced fishing guide is assisting while fishing. In the cold season, ship is heated, there are 10 sleeping places, a toilet, a fridge, a grill, and an audio equipment. On request, we cater for you. Departing from Klaipėda at the agreed time. This is an unforgettable experience of catching extreme crayfish in the Baltic Sea. We go fishing in an old industrial fishing area with a very diverse bottom (mainly clay and stones). The depth in these places is very high 70-65 m, and it suddenly falls to 30 m. That place is shaped like a mountain in the sea. This place of the Baltic Sea is especially fond of large cod. So it’s like a paradise for fishermen in the Baltic Sea. Ship will quickly reach this place of the Baltic Sea that has been named “fisherman heaven”. The fishing takes 12-16 hours. We will provide you with fully equipped fishing equipment. You will have experienced fishing guides for fishing during the fishing season. We will introduce the inexperienced to the subtleties of catching cod. We will teach how to cut the cod fillet. On request, we will have the fish you caught cooked on the grill. At your request we will process the catch (at an additional cost). We will cater for you on board if you wish. 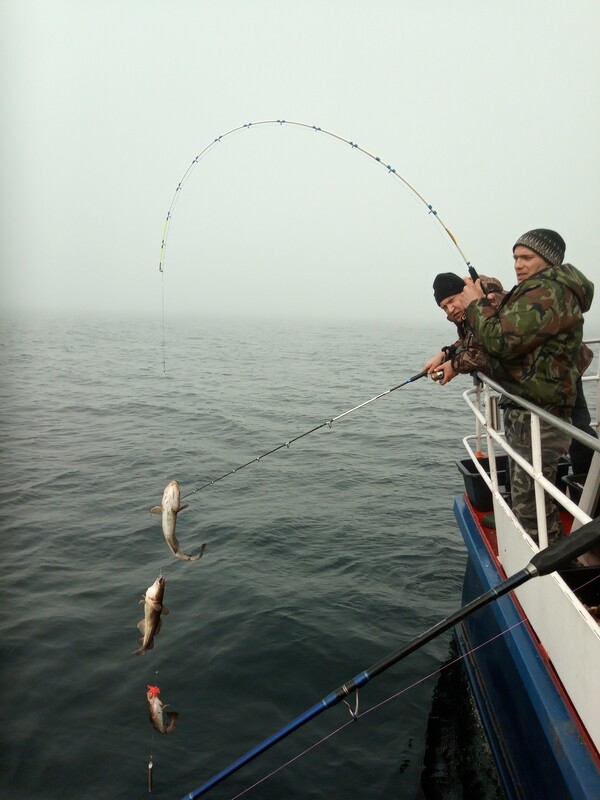 There is a possibility to go fishing for 2-3 days at the Lithuanian-Russian (Kaliningrad), Lithuanian-Latvian maritime border. Then everything is organized exclusively individually, depending on the wishes of the client.